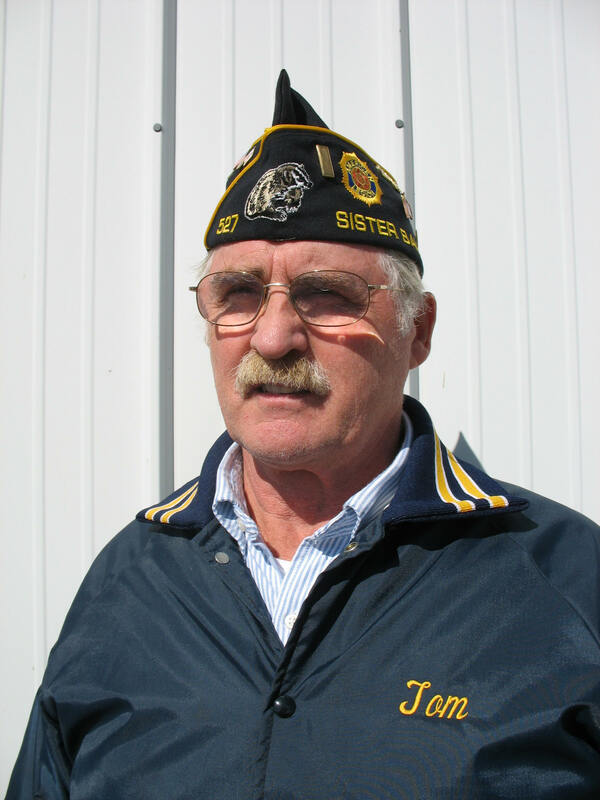 Welcome to Veteran of Foreign War (VFW) Posts #8337 Sister Bay and Post 3088 Sturgeon Bay, Wisconsin! Standing Ready to Serve! During Pumpkin Patch in Egg Harbor, we'll be forming a "Bucket Brigade" with the Egg Harbor Business Association to raise money for the Veterans Memorial that honors 159 Door County Veterans killed in action since the Civil War. .
Tom Kawalski Commander AL Post 527 Representing Veterans Proudly Serving Liberty Grove, our County, and Country! Door County Veterans! As many of you know we are partnering with the Egg Harbor Business Association next weekend during Pumpkin Patch to raise money for the Veteran Memorial honoring Door County Vets killed in action. There are four American Legion posts in Door County (Post 72 in Sturgeon Bay, Post 372 in Maplewood, Post 527 in Sister Bay, and Post 402 on Washington Island), three Veteran of Foreign War (VFW) posts (Liberty Grove Post 8337, Fish Creek Post 9290, and Sturgeon Bay post 3088), one AMVET Post 51 in Sturgeon Bay, one Marine Corp League Detachment 1130 in Sturgeon Bay and the Cooties Post 43 in Sturgeon Bay. Welcome to www.DoorCountyVeterans.com\VFW_Post_8337! Through this site, veterans can continue to support, serve, and safeguard their community and country, receive Basic and Advanced Individual Training in Incident Command and Control, and develop public-to-private partnerships in the war against terrorism. Through this site, your post can honor its fallen veterans, support veterans on active duty, mobilize veterans during a crisis, and deploy veterans when called up by professional first responders.